A powerful, antioxidant-rich moisturizing eye cream to revitalize and bring a brighter, more youthful look to eyes. Known for their ability to energize skin and visibly diminish fine lines, dark circles and puffiness, Peony and Honeysuckle extracts offer powerful anti-aging benefits alongside our anti-aging HADASEI-3™ Complex. Ideal for all skin types. Non-comedogenic. Non-irritating. Non-sensitizing. Ophthalmologist tested. Non-comedogenic. Non-irritating. Non-sensitizing. Ophthalmologist tested. 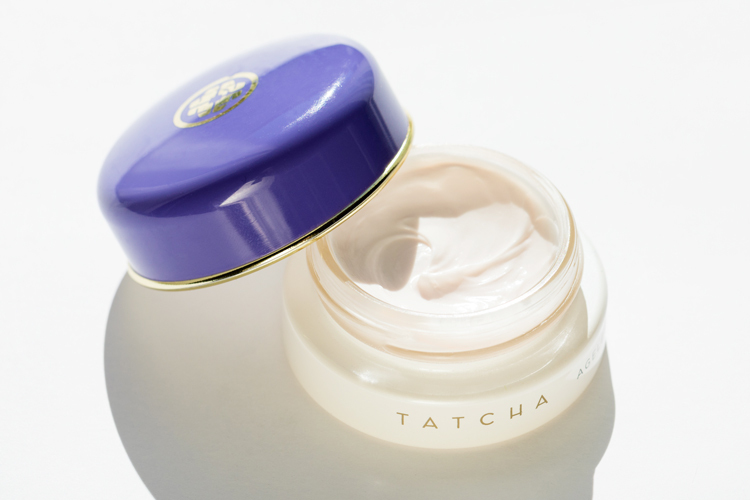 ​Tatcha’s trinity of anti-aging superfoods reveals soft, youthful skin. Prized throughout Japan as the purest, finest source of Green Tea, this powerful antioxidant-rich botanical from Kyoto is known to detoxify and help prevent signs of premature aging. This sea treasure from Japan’s tropical islands is rich in polysaccharides, essential for skin water retention and renewal. This rice is known as the finest rice in Japan for its superior taste and quality. It is also a nourishing moisturizer, rich in essential proteins. Gently smooth and pat around eyes until fully absorbed. Ageless Revitalizing Eye Cream is rated 4.9 out of 5 by 98. Rated 5 out of 5 by Anonymous from Terrific! I tried this product once a few years back and frankly was unimpressed. Then, in an effort to try to find Tatcha quality products at a cheaper price, I did a lot of trial and error with other lines. Mostly error! The skin above my eyelid is unusually sensitive and reveals the slightest trace of irritation. It was raw, flaking, and very sore. Nothing was helping it heal. I grabbed this from the back of the drawer and: ah. It helped heal the irritation. Since then, it has been the perfect balance of lightness, emollience, and moisture for around my eyes, day and night. It's pricey but there's also a lot of product here. No going back! Rated 5 out of 5 by Mediterranean Maven from Doesn't get better than this I have tried dozens of eye creams over the years and even used my regular moisturizer in place of one. But, this eye cream is really worth the expense. Do not be dismayed at the small size of the jar. A little bit, and I mean a little bit, really goes a long way so the jar will last a very long time. I use a tiny bit and it sinks in quickly leaving your skin hydrated but not greasy. My eye makeup does not smear and stays on longer because of this product. I have not had any reactions such as water eyes, itching or rashes as I used to have with other eye creams. I love this and I won't be without it. Rated 5 out of 5 by KCB from Best Eye Cream Finally! I'm in my mid 40's and noticing some fine lines and have dark circles. 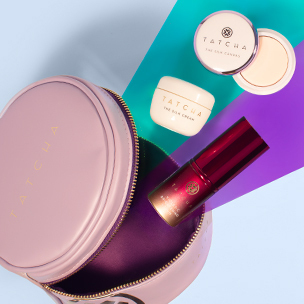 Most eye creams I've used prior to Tatcha (including expensive brands), I don't see results and under eye area looks dehydrated several hours after application. 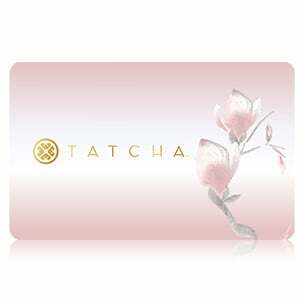 I tried Tatcha's eye cream because received bonus sample with prior purchase. The texture is perfect, it provides long lasting moisture and is not greasy and under eye area does not look dry/crepey. Circles not as noticeable in the 2 weeks using Tatcha eye cream. Also, the cream is a terrific base for any eye make-up or concealer. Improves the wear and appearance of eye makeup. Rated 5 out of 5 by Sheena from The Best I've Tried!!! I'm so in love with this eye cream. It came in such cute packaging too! Small size but a little goes a looooong way. Smooth, light, silky, nonsticky no noticeable scent. Goes on effortlessly and sinks quickly into the skin. I also noticed a difference around my eye area as well. I've now used this 2 times a day every day (the only eye cream I've been able to use that frequently) for almost 2 month now. The skin is more hydrated and tight. For reference I'm asian and 31 years old with oily combo skin. Love this product and love that it comes in a trial size! Rated 5 out of 5 by Ollie2525 from It actually works! I’m 27 and struggle with dark circles under my eyes. I’ve been using this constantly for a week now morning and night and this morning I definitely woke up and saw a major difference in my face. My under eyes look dramatically lighter!!! I’m so flipping happy! I’ve been using the travel size on my trip but I’ve barely even used any! I have a bigger size at home so I’m going to let my mom try it when I leave. Thank you so much TATCHA. This actually does what it says it will and for that reason I say the price is worth it! Rated 5 out of 5 by Anonymous from Immediate result I have been trying to reduce under eye puffiness that is underlined with a crease. This is the first product that reduced it visibly! I saw results after putting it on for the first time, the outer half of my eye bags have disappeared, the inner bags are still there, but this is just 3 hours from the first time I applied it! I’m absolutely thrilled with such quick results and can’t wait to see how it will look in the morning and weeks from now. 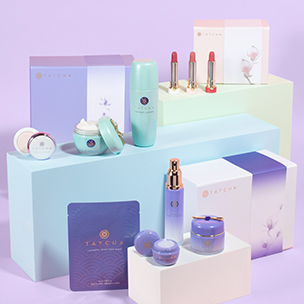 Thank you TATCHA from the bottom of my heart. The small bumps you see is because the cream you are using may be too rich. The lightest formulation we have is our Deep Hydration Firming Eye Serum which should be helpful as it addresses fine lines and wrinkles. We hope this helps! Can I use this eye cream on my eye lids and below my eye brows as well as under my eyes? Thank you for your question! Yes, you may use this eye cream all around the eyes, including on the lid and up to the brow. We hope this helps! How do I apply the eye cream, and how often should I apply it? With your finger, gently dab under the eye and smooth away from the inner corner until fully absorbed. Use morning and night. Thank you for your question! We do not suggest using them together at the same time. We suggest using the Pearl for day as your primary eye cream. Then at night, you can use the Ageless Revitalizing Eye Cream. We hope this helps! What step in the Ritual is this eye cream? Apply eye cream just before moisturizing with face cream. What are the main differences between this and the Luminous Deep Hydration Firming Eye Serum? Our Ageless Revitalizing Eye Cream is ideal for anyone who prefers a richer cream treatment or those who require a bit more hydration for dryness around the eyes. It will address all the concerns of the eye including puffiness, darkness, hydration, and fine lines and wrinkles. Our Deep Hydration Firming Eye Serum is ideal for anyone who prefers a lightweight treatment. This serum works well under makeup for daytime, and address all the concerns of the eye area as well. Can I apply makeup over this eye cream? Yes, the Eye Cream both nourishes and helps prime for makeup.